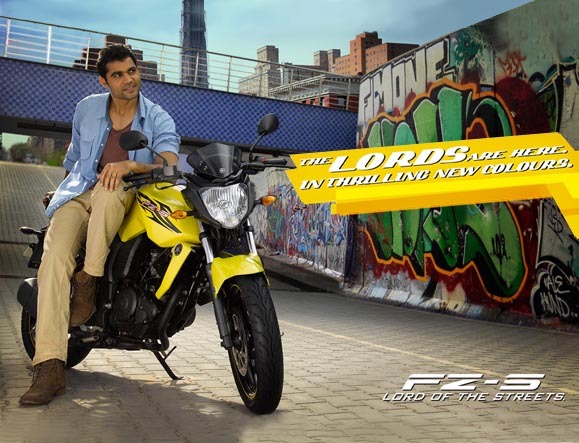 Yamaha freshens up its FZ series for 2011 in India.. The 150 cc motorcycle scene in India is getting quite predictable and a bit boring..
First launced in 2008, Yamaha India had unveiled its entire FZ range (FZ, FZ-S & Fazer) by 2009, and then it gave the lineup new colors in 2010. 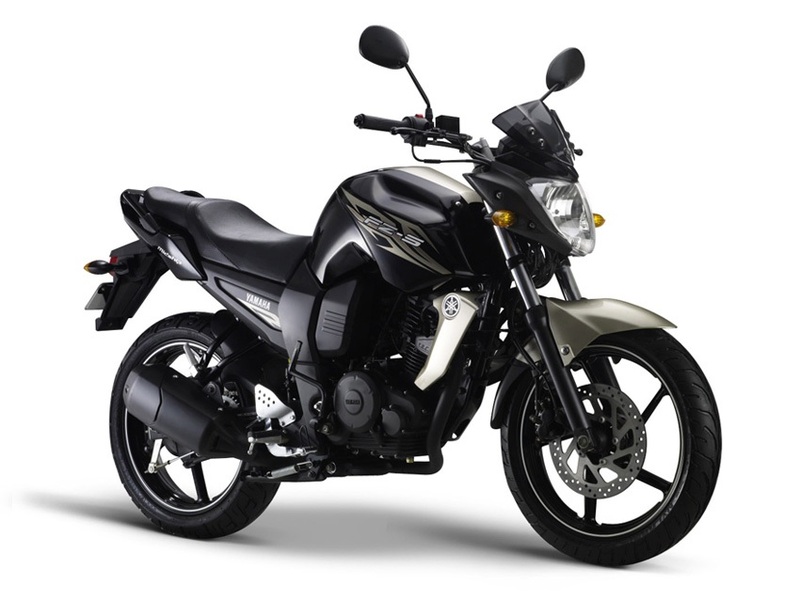 In between it also launched limited edition all "White" colored FZ's in 2009 and all "Black" colored FZ's in 2010. 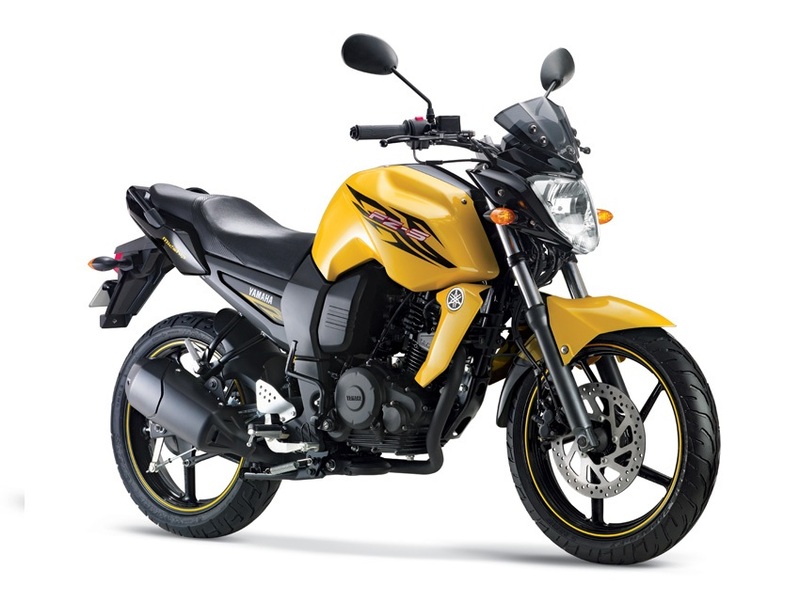 Now Yamaha India has once again decided to "freshen" up its FZ range for 2011. 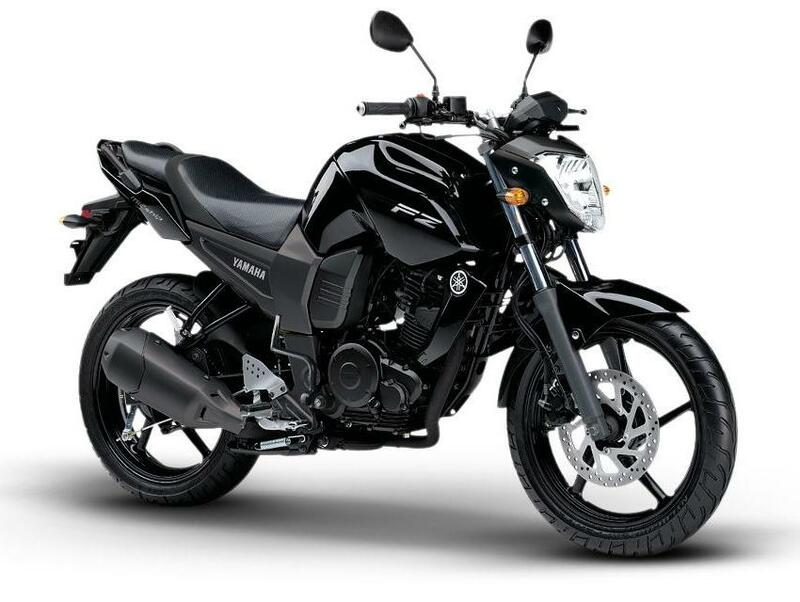 So what we get are new color combinations, a blackened exhaust cover and slightly redesigned stickers. 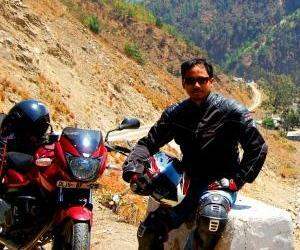 Apart from new colors, there are two other things which stand out for the "keen eyed" biker. 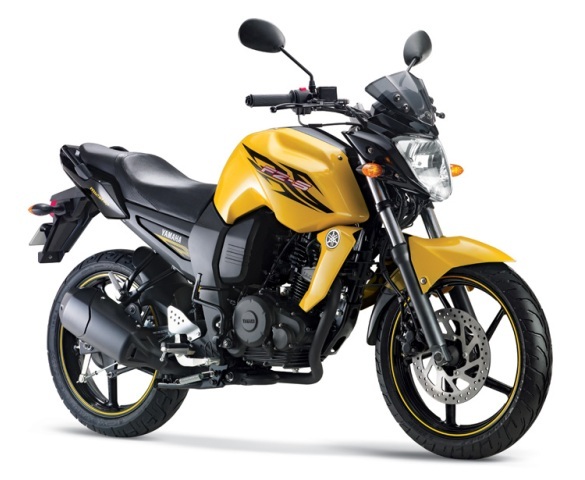 Posted below is the 2011 FZ-S in "Yellow Streak" color. Other new 2011 color combinations are also posted below.. When other manufacturers are dropping the kick lever from their bikes, Yamaha has surprising gone "backwards" and put the ungainly looking lever on the FZ series. 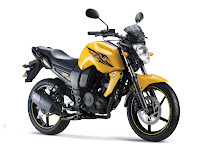 According to me, its just a way to streamline the production line for the FZ engine which also produces the engine for the Indonesian Byson (the Indonesian FZ), which gets the kick lever (according to demands of the Indonesian customers). This streamlining of the production line up should enable the production costs to be kept low. 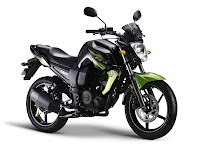 FZ-S: Golden Streak, Competition White, Black Cyber Green and Yellow Streak. 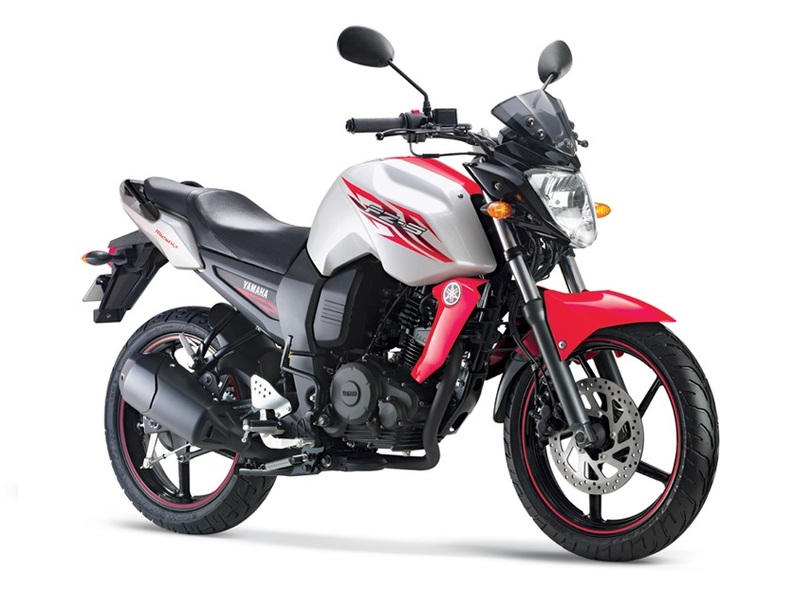 Also according to the same, "All the models of the FZ family will now have a kick start option and will be available at a price of Rs 67,000 to Rs. 74,000 (ex-showroom Delhi)". This "freshening up" of the FZ lineup should keep the FZ fans happy. 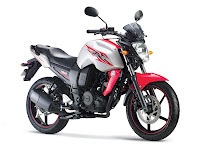 Although there are rumors of a 250 cc engine for the FZ, honestly speaking the 150 cc motorcycle scene in India is getting quite predictable and a bit boring. 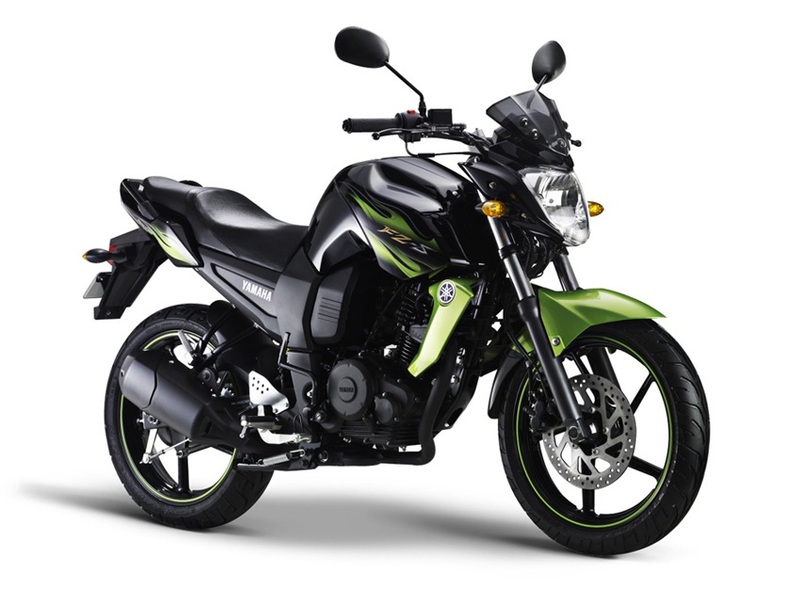 (Read the above as: Minimal changes in the current Pulsar 150, Apache RTR 160 Hyperedge, CB Unicorn, CBZ Xtreme, Hunk, not too path breaking CB Unicron Dazzler and now this FZ series with new colors). I fail to understand why people get bored very quickly??????? You mean to say that there should be an upgrade every year? Like what increase in BHP every year? May be increase in the no of valves each year? or for that matter increase in cylinders every year? You have to keep in mind that there are fresh buyers everyday. 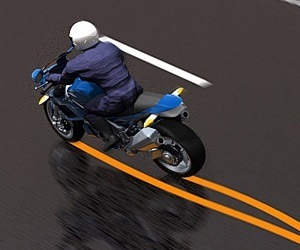 Just because you have migrated from 150 to 220, doesn't mean that the motor cycle scene should completely change every year. I am a regular reader of your blog and it upsets me every time you complain about sticker jobs and paint jobs. 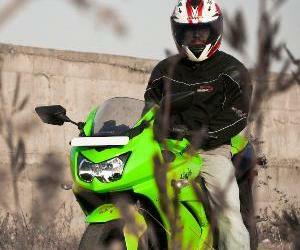 Keeping your taste in mind, please throw some light on how should a 100 cc bike should see upgrade every year? Lets take an example here; Hero Honda Splendor, What if you were the Head of HH and how would you have gone about the upgrade each year. Please list it. Am amused to know that a Management student is making such a rash comment on each and every upgrade that an Automobile manufacturer makes except for BAJAJ. 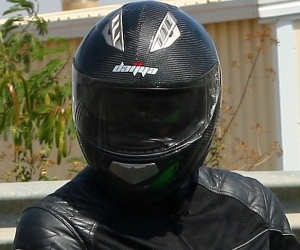 I have observed that you justify every move that BAJAJ makes and seldom complain about it. Do you work for them????? Will you post this comment........ brrrrrrrrrrr i doubt. it's awesome being "anon" right? 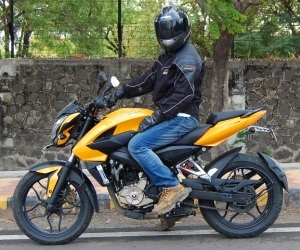 Also please read the above post carefully.. the current Pulsar 150 upgrade heads/leads the list of current "boring" 150 cc upgrades.